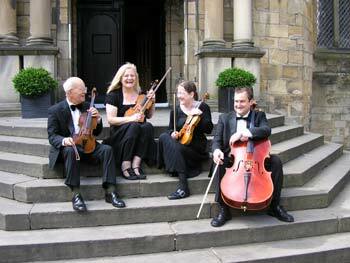 The Cameo String Quartet has an outstanding reputation for being flexible, friendly and reliable. We have been providing music for weddings, parties and corporate events in the North East for more than 20 years. We play a wide repertoire ranging from classical numbers through to popular songs. Listen to some samples of our music on this page. We can play your favourite music or simply create a relaxing atmosphere as guests arrive or during a meal. 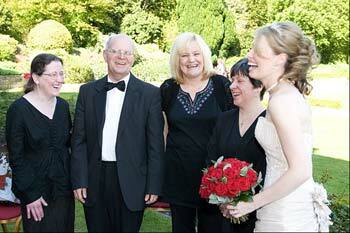 We can advise you on music for your civil or church ceremony. Where a venue has a suitable piano we can provide a violin and piano duo. We cover venues in: Teeside, Durham, Newcastle, Tyneside and Northumberland.